How to teach your children healthy limits and protect them when you are not around. Admittedly, parents often let technology act as a cheap babysitter when we are too busy or burned out to engage with our children. The night I decided to implement stricter digital boundaries was a wake-up call in my household. Burned out from working on my book all day, I came home to find every single member of my family glued to a screen of their own. I caused a havoc taking away iPads and turning off television screens — there were tears from parent and child alike. It took walking unacknowledged into a household of digital zombies for me to realize I needed to make a change and just like that I did. In my book, The Future of Happiness I discuss how the concept of ‘invisible fences’ can help families set digital boundaries for adults and children alike. If you’ve ever had a dog, you’ve likely heard of invisible or electrical fences. They are often used on unfenced rural properties to ensure family dogs don’t stray beyond the property line. Remarkably, most dogs learn quite quickly where the lines are drawn and never cross them again. Electric collar aside, the concept of creating invisible fences for technology use in your home is a great way to set boundaries and promote a more balanced, happy lifestyle. So, where should we build these invisible fences? Much like literal fences, where you build yours is entirely dependent upon your needs. Some families maintain a strict no phones at the dinner table mantra, while others ensure electronics are turned off an hour before bedtime. The truth of the matter is that there is no parenting playbook for the digital age. We’re wading through uncharted territory as we attempt to raise balanced, healthy children in a technology-obsessed society. Naturally, there will be some trial and error as we try and figure out which boundaries best suit our family’s needs. Regardless of where you decide to build your invisible fence, it’s important that it’s built quickly and communicated clearly. Much like a fence that must be moved after the posts have been put into the ground, it’s more difficult to implement digital boundaries once your children have become accustomed to digital freedom. Once you’ve decided where to build your fence, effectively communicating where the boundaries are and the repercussions associated with crossing those boundaries is crucial. While the boundaries may seem clear to us as parents, it takes some time for our children to catch on. Expect a bit of trial-and-error and repetition before the boundaries are fully understood. 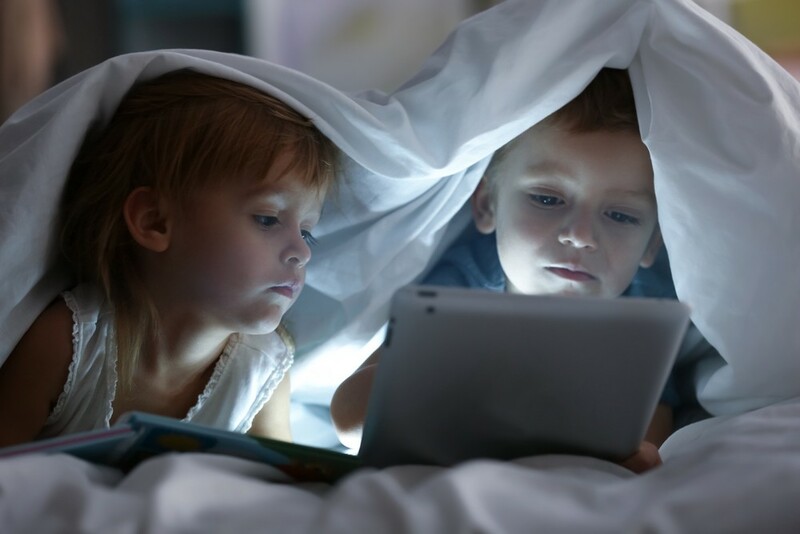 Our children are more sensitive to technology than we often realize, so while they may resist the boundaries initially they may grow to appreciate them and begin to set their own. Of course, our children will have different boundaries than us, we are adults after all. However, if we want our children to respect the boundaries we set they need to see us utilizing them as well. Creating a few universally accepted boundaries in the home allows children to see that digital boundaries aren’t solely set for them. No phones at the table or screens an hour before bedtime, are two fences that can be built to promote family bonding and ensure everyone gets a good nights sleep. In a world of constant connectivity, we need to learn how to connect with our families more than our electronics. The average person touches their phone 2617 times a day. This means we’re swiping, typing, and tapping our phones over 150 times every hour that we are awake. It’s likely that technology will become more involved in our lives in the near future, which is why it’s important to implement strategies to manage our use, now. Technology isn’t the enemy, but the way we interact with it is undeniably a problem. Setting boundaries is the best way to protect ourselves from becoming and raising digital zombies and instead foster healthy relationships with technology.